I dressed myself in concepts. I carried like a shield. Something tried to touch me. It was not possible. It was not allowed. My clothes were my protection. Something wanted to touch me. But my desire was aroused. They did not fit me anymore. In this way I moved on for a long time. with me like a burden. In the past I knew everything. Now I did no longer know anything. In Your eyes such love. The heat left me no choice. had tried to touch me. Now You touch me everywhere. and You stand before me. No longer do I wear my garments. 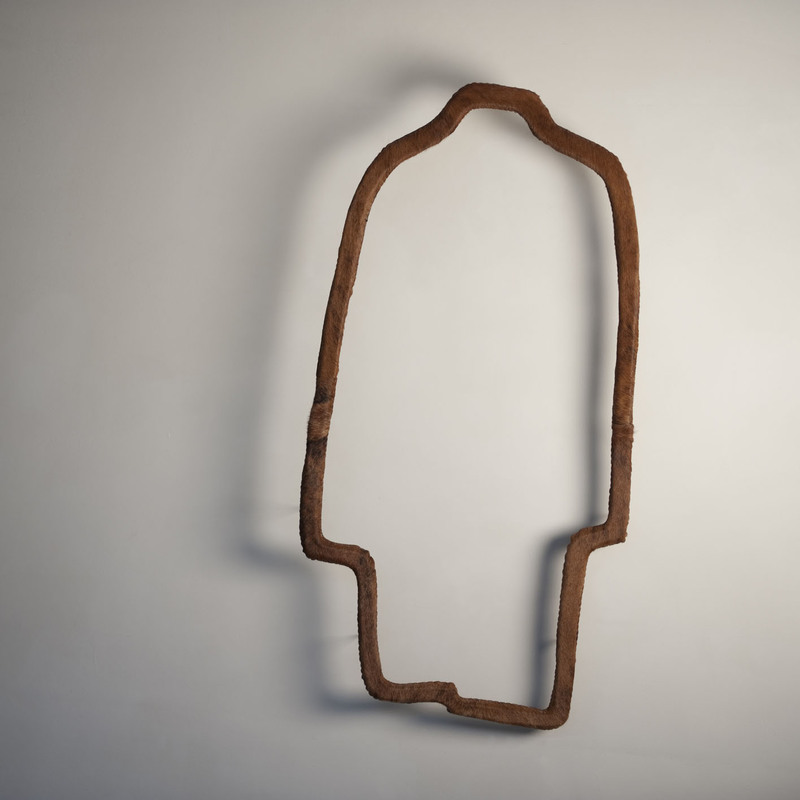 Disrobed 2, animal skin, 60 x 113 x 2 cm, 2009. Mariska van Beusichem (Utrecht, 1968) is a minister in the Reformed church (PKN) in The Netherlands. She is the chairman of the Thomas à Kempis Foundation in Zwolle and is working on a dissertation on spirituality and mysticism at the Titus Brandsma Institute in Nijmegen, NL.